Don't tell me what they say about me. Tell me why they feel comfortable telling you. 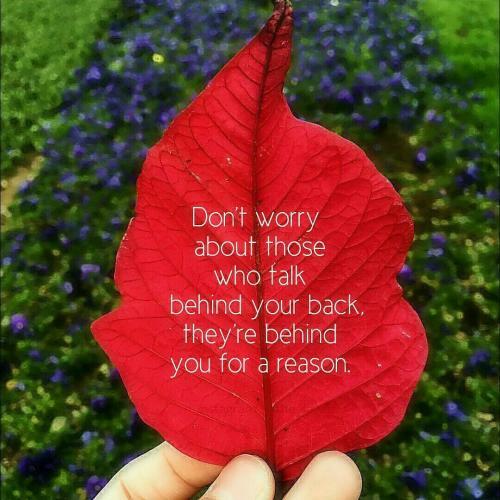 Don't worry about those who talk behind your back, they're behind you for a reason. 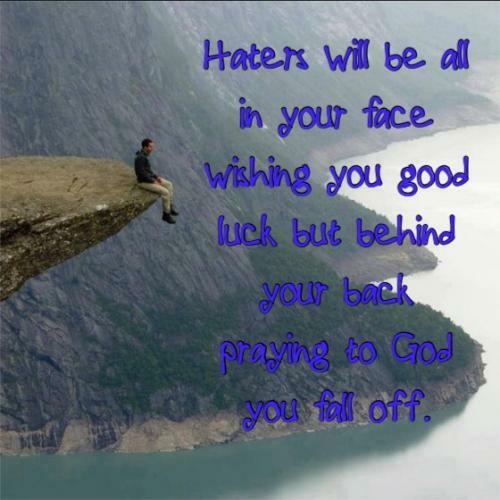 Haters will be all in your face wishing you good luck but behind your back praying to God you fall off. It's funny how the people you'd do anything for are the very same people to fastly turn their back on you when ever it suits them. Be careful with whom you trust, evil is masked by friendship and powered by revenge. If they disrespect you to your face imagine what they're doing behind your back. In order to survive this world you must develop a thick skin, it will protect you from backstabbers! Whoever spreads gossip for you, spreads gossip against you. Whoever relates tales to you, will tell tales about you.